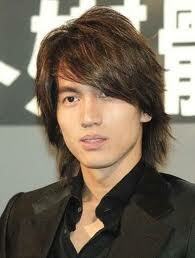 Jerry Yan (traditional Chinese: 言承旭; pinyin: Yán Chéngxù) was born 1 January 1977. 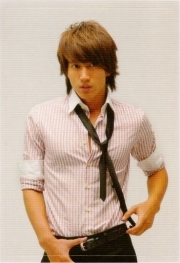 He is a Taiwanese actor and member of Taiwanese boy band F4. His birth name is Liao Yangzhen(traditional Chinese: 廖洋震; pinyin: Liào Yángzhèn). 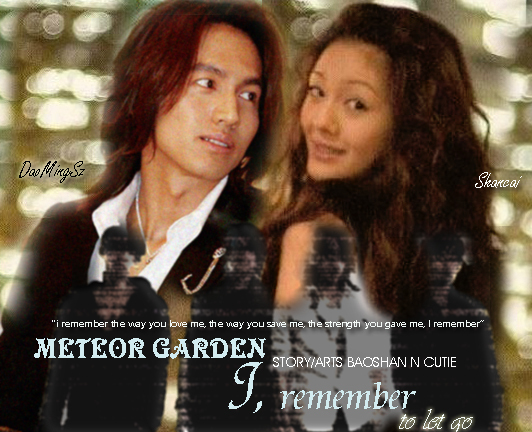 With his role as "Dao Ming Si" (traditional Chinese: 道明寺; pinyin: Dào Míngsì) in Taiwanese drama Meteor Garden (流星花園) and its sequel Meteor Garden II, Jerry became popular across Asia. 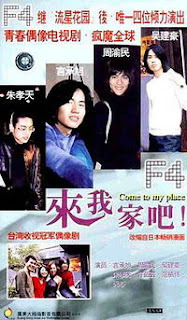 At the conclusion of the series, Jerry along with the other members of F4: Vic Zhou,Vanness Wu and Ken Chu continued to perform together and released three studio albums as quartet boy band F4. 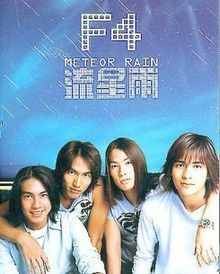 Meteor Rain (traditional Chinese: 流星雨; pinyin: Liú Xīng Yǔ) is Taiwanese Mandopop quartetboy band F4's debut Mandarin studio album. It was released on 28 August 2001 by Sony Music Taiwan. The Hong Kong version of the album is an audio visual CD (AVCD) which includes two music videos. 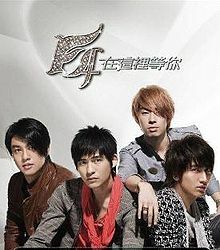 Fantasy 4ever (traditional Chinese: 煙火的季節; pinyin: yan huo de ji jue; literally "Season of Fireworks") is Taiwanese Mandopop quartet boy band F4's second Mandarin studio album. 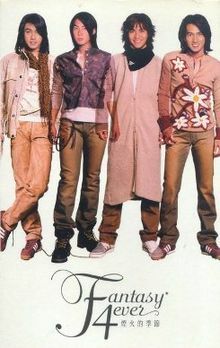 It was released on 18 December 2002 by Sony Music Taiwan. It includes a VCD which contains two music videos. Waiting for you (traditional Chinese: 在這裡等你; pinyin: zai zhe li deng ni) is TaiwaneseMandopop quartet boy band F4's third Mandarin studio album. Two versions of the album were released on 28 December 2007 by Sony Music Taiwan: Waiting For You (Await Your Love Edition) (在這裡等你 等待摯愛版) and Waiting For You (Feel Your Heart Edition) (在這裡等你 體驗真心版) A collectable edition was released on 5 February 2008, Waiting For You (Special Collectable Edition) (在這裡等你 新春慶功版) with a 16-page photo booklet and bonus DVD with footage from F4's New Songs World Premiere concert (F4全球新歌發表會) at Tamshui Fisherman's Wharf, Taipei, Taiwan on 19 January 2008. Here are the TV shows he made!! “Ma La Xian Shi" (Spicy Hot Teacher) tells the story of an unconventional new teacher of a prestigious Taipei high school, and the humorous antics that involve the interesting students in the class. Based on the Japanese manga "Uchi Ni Oide Yo" (Come On A My House!) by Hara Hidenori. Xiao Wen lives alone in a rented house in Taipei. When she wakes up, she finds the university student Qian Yong that works at a pub lying beside her. The awkwardness between the two became from strangers to friends. They unconsciously enter each other's lives. Although the two occasionally would have different view, but the pub's owner wonder plans resolves them peacefully. 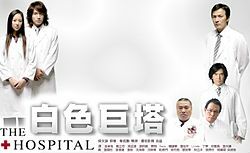 The Hospital is the story when President's only daughter, Liu Xin Ping, checked into the hospital for her chemotherapy treatment, the head of internal Medicine, Dr. Xu Da-Ming, and the head of surgery, Dr. Tang Guo-Tai, became the core members of the President's medical team. Both men planned to use this opportunity to prove themselves to be the best person for the hospital director's position. Hot Shot is a story In a school where academic reigns supreme and sports are relegated to a dusty corner of the campus, Li Ying vows to revive the basketball team by volunteering to be the head coach. Her first member is Yuan Da Ying, a country boy who is passionate for basketball but has no skill. Their recruitment goes into high gear when Dong Fang Xiang, a legendary basketball player, transfers to their school. 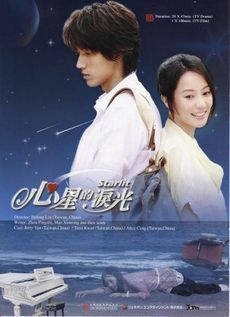 Around the same time, Yuan Da Ying falls for Zhan Jie Er, a scholarship student who reminds him of his childhood friend. Things are complicated by the fact her family works for Dong Fang Xiang, who she also grew up with. Their encounter may just rewrite the school's basketball history. Starlit story is about Cheng Yue is a pianist and Rui Shan is a cellist. They are the most high-profile golden couple in the music industry. One day, Cheng Yue tried to save a girl named Xiao Lu from a car accident, but unfortunately breaks his arm in the process and can no longer play the piano. Cheng Yue was devastated, and so she gave up music and chose to travel to get away. Two years later, Cheng Yue now lives in Shanghai and meets Xiao Lu, and the two become colleagues. Due to work interactions, they gradually establish a friendship. 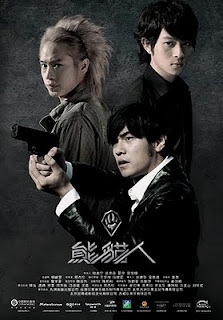 At this time, Rui Shan finally tracks down Cheng Yue. She tries her hardest to get Cheng Yue to return back to the music industry to no avail. 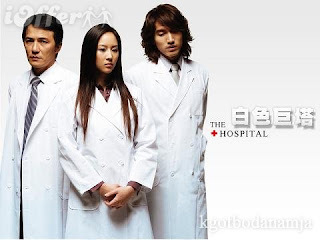 However, Xiao Lu encourages him to face life with a postive attitude, and Cheng Yue realizes that he is impacted by Xiao Lu’s kindness and enthusiasm. 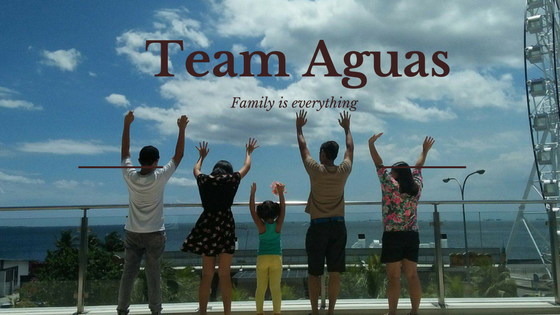 From being a person who has hit rock-bottom, wallowing in self-pity, he has re-ignited the passion in life. "Down with Love" Xiang Yu Ping, an expert divorce and inheritance lawyer, is seen by others as cold, selfish, and ruthless. After Yu-ping’s older brother dies in a car accident he has little choice in taking in his brother's two orphaned children, Fei and Ting. Every nanny he hires to care for them is either scared off by the mischievous children or ends up falling in love with him. Fed up, Yu Ping asks his secretary, Yang Duo, to find a nanny that meets his requirements. 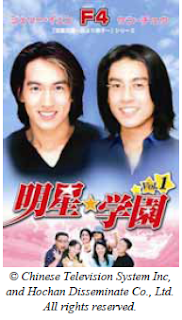 Having lost all their wealth when their mother passed away and being abandoned by their father after racking up heavy debts; Yang Duo can not ignore the fact that she needs the money and recommends her younger sister, Yang Guo, for the job; assuring Yu Ping that her tomboyish sister will not fall in love with him by lying that she does not like men at all. 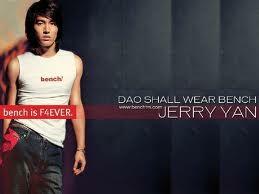 He even visit the Philippines for his endorsement of Bench Apparel.